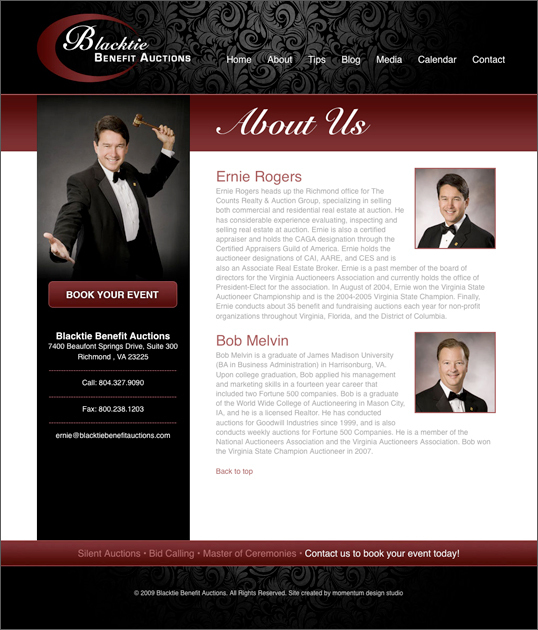 Project Details: Blacktie Benefit Auctions specializes in selling both commercial and residential real estate at auction in addition to conducting benefit and fundraising auctions for non-profit organizations throughout Virginia, Florida, and the District of Columbia. 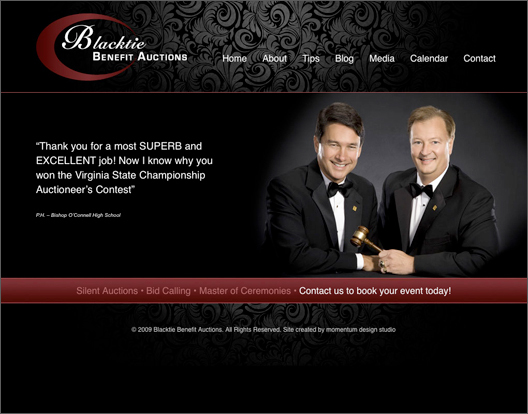 Blacktie Benefit Auctions approached Momentum Design Studio in search of a redesign of their existing website, with the goal of creating a new site that was cleaner, content rich, user friendly and more appealing to upscale real estate and fundraising audiences. A classic black and maroon color scheme, coupled with high quality photos and subtle background patterns give the site a smooth, rich feeling.